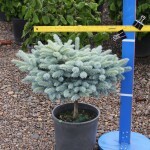 A slow growing, compact, flat topped shrub. The needles are a silvery blue. It performs best in full sun with moist, well-drained soil. 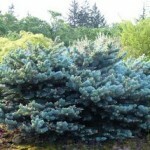 Use as a focal point or accent in the landscape.